AUSTRALIAN driver Daniel Ricciardo is shaping well for a front-row spot after recording the third fastest lap in second practice at the Hungarian Grand Prix. Sebastian Vettel, with his Ferrari team mourning the death of former chairman Sergio Marchionne, ended the day with the quickest lap of one minute 16.834 seconds, but Red Bull's Ricciardo led the way in the morning with a best of 1:17.613. 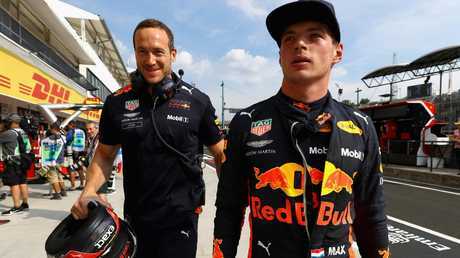 Ricciardo was third in a blazing hot afternoon session, behind 20-year-old Dutch teammate Max Verstappen, who was 0.074 slower than Vettel. The Australian won from pole in Monaco this year and he took grid penalties in Germany last weekend to give himself the best shot at a circuit sometimes referred to as "Monaco without walls". 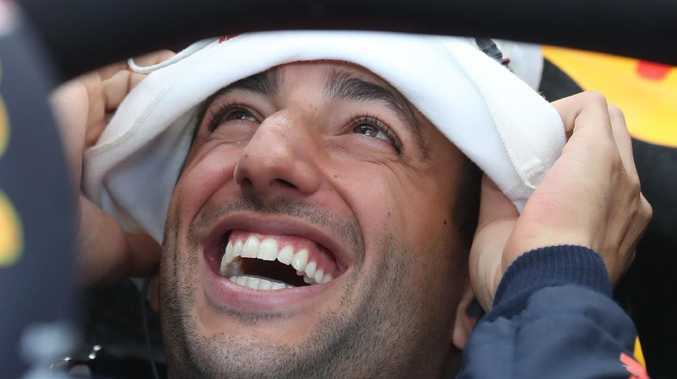 "I think we have a good enough car to be on the front row," Ricciardo said. "Over one lap I think we could still make some improvements, but the long-run pace looks good and we're all very close." 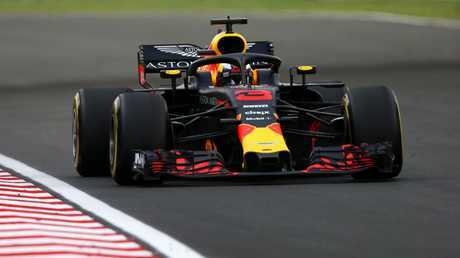 Red Bull is expected to be among the favourites at a comparatively slow track that suits the aerodynamic qualities of its car much more than Mercedes, whose drivers seemed to lack grip, and is less engine dependent. Mercedes has been able to count on more power in qualifying. Vettel said his car performed better in the afternoon session and it had been one of the best Friday practice sessions this season, technically speaking. "Having a great amount of work ahead of us is probably the best thing for keeping our minds busy and getting through the weekend," added the German, whose media activities were cancelled in light of Marchionne's death. Ferrari flags flew at half-mast over the team's hospitality area. Ferrari's Kimi Raikkonen was fourth in both sessions and compatriot Valtteri Bottas, championship leader Lewis Hamilton's teammate, was sixth before and after lunch. Hamilton is 17 points clear of Vettel in the standings after 11 races, with Sunday's round the last before the August break. The Briton, who has won five times in Hungary but never in a championship year, suffered a big slide into the chicane on the dusty asphalt in the morning. "As we expected, the Ferraris and the Red Bulls were quite quick and had a little bit more pace than us, so we've got some work to do tonight," Hamilton said. "This is a tricky circuit and the tyres are overheating - looking after the rear tyres is the biggest issue."